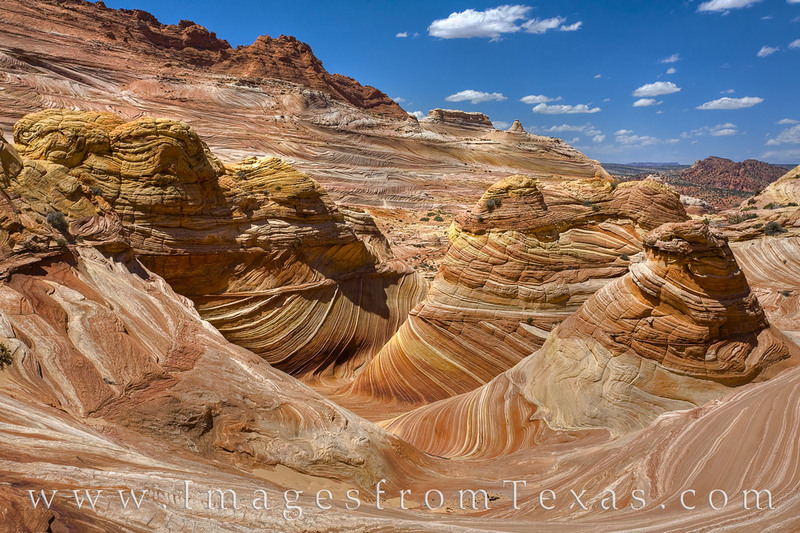 The Wave, an sandstone rock formation found in North Coyote Buttes in northern Arizona, is an amazing sight - if - you can obtain a permit to visit this location. Permits are given out on a lottery system. If you are selected, the hike is three miles across the desert with only GPS coordinates to go by and no trail. The reward is one of the most amazing places anywhere in the Southwest portion of the United States. I tried for a year before finally having my name picked to make the hike. The Wave is made up of eroding Navajo sandstone from the Jurassic era, and the unmarked trail to reach this site covers open desert and rugged, exposed terrain. It was worth it!